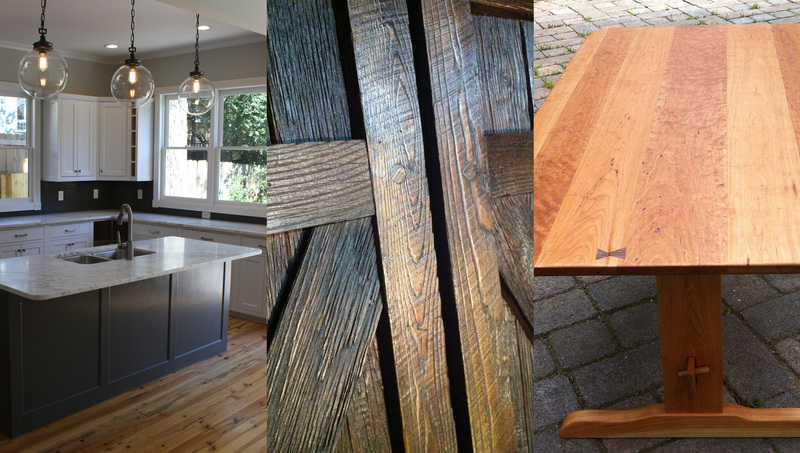 Carpentry Good Wood Works specializes in trim and finish carpentry in and around the Atlanta area. From Mantles to Crown to Coffer ceilings, we can make your house look beautiful. Woodworking Detail and craftsmanship are our hallmarks. From custom-built cabinets to custom furniture, every job gets personal attention from start to finish. Remodeling We provide high quality custom building, small additions, interior remodeling, and upgrades. Need a new bathroom or screened porch? We can walk you through the process and get it done. We've used Good Wood Works for several projects. Nat and his team built a beautiful and home-changing wraparound deck at our home in East Atlanta Village. His artistic suggestions turned a rough vision into an aesthetically pleasing deck with infinity views and eye-popping details, including matching tables made from leftover wood. Nat is a true craftsman and artist, but also has the practical sensibility to get a job done. Troy H.
High quality work. Awesome job! I used Good Wood Works to re-do my master bedroom, making more efficient use of space via built-in closets, entertainment center, and custom-made doors. Marc S.
I wish I had called him sooner! The best part of working with Good Wood Works is Nat's ability to take a basic idea and then execute it better than you ever thought possible. We enjoyed discussing our ideas with him and enjoyed seeing the results even more! Joe K.